The 2011 elections Congress for Progressive Change (CPC) presidential candidate, Gen. Muhammadu Buhari, yesterday in a press conference at the party headquarters in Abuja stated that he may re-consider his 2011 decision not to contest 2015 elections. 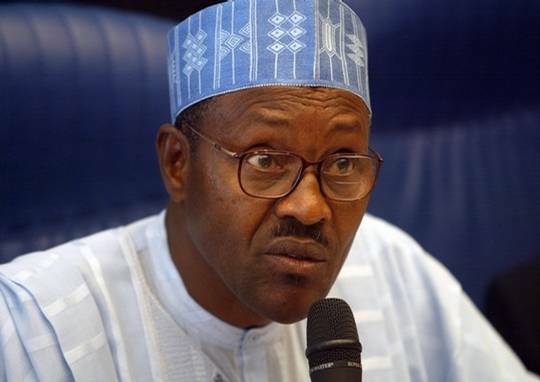 Buhari, a former head of state who has contested unsuccessfully for the office of the presidency of Nigeria in 2003, 2007 and 2011, explained that he actually said he would not contest the 2015 presidential election due to the number of times he had contested, but due to the pressure from some party stalwarts, he may withdraw that decision. Buhari also spoke on the crisis rocking CPC, saying that no group under any name can dissolve the CPC’s National Executive Committee (NEC) as the election of the Committee followed constitutional provisions, and that any dissolution should follow due process as laid down by INEC. “We as a party came on board as a political party not long ago, but were made to pass through the processes laid down by the Independent Electoral Commission (INEC) in a short time. INEC supervised our election of the executive members of the party, and, according to the constitution and INEC provisions, nobody can dissolve an elected executive without a convention. well said.but what of if buhari fails won’t he say anything about riging.any way,let the will of God be done. People should watch this General closely. 2011 election was considered the most credible by both local and international observers since 1999. Mr. General contested 2003 and 2007 general election which was marred by gross irregularities, and then there were no dogs and baboons. Recall the way General was going about the general election and consequently his statement after, and the ensuing violence before during and after the election vis-a-vis boko haram. The point is this, if 2015 turns out to be like 2011 which was considered credible by both local and foreign observers, then, the dogs and baboons will be soaked in blood. The other day OBJ made the ugliest statement in his political career. The fact is that this is a country where people make statements capable of truncating the country’s peaceful coexistence and nobody does anything about that until it becomes far late. What really does ex head of state Gen Buhari and all power greedy 65yrs plus politicians and ex military people take Nigerians for? Let them use the rest of their life to write their biography and advise younger Nigerians on how to live peacefully and progressively. Enough of their contesting and failing elections and complaining.If not GEJ why not SAMBO, DAVID MARK, AKPABIO,etc for 2015.Must it be old peole always? @Omplaining, sincere statement there. @Mikel why are you so bias? Let him contest after all he will not force people to vote him abi?